Is your business or product reaching a milestone? 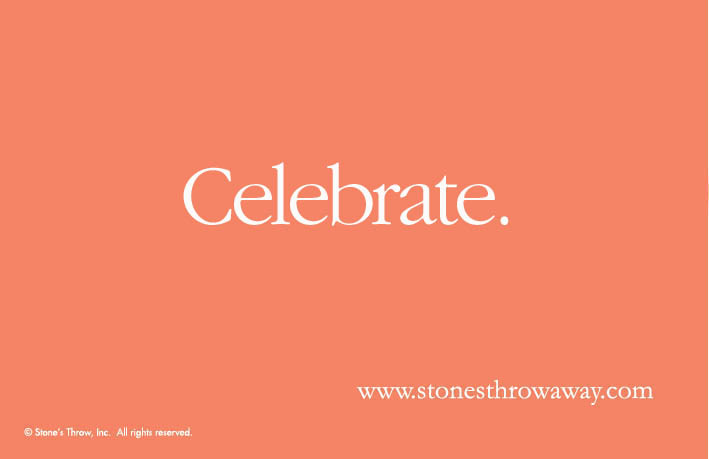 Celebrate it. This year marks our 25th anniversary and has had us looking back through our archives. The following recommendations began as advice to a client. They’re perfectly suited for today, and bear repeating. If, like Stone’s Throw, you are nearing a significant anniversary, congratulations! Experience is a valuable business asset. Businesses that stand the test of time foster trust, confidence. When your business or product reaches a milestone anniversary, let your clients and colleagues know about it. Whether you decide to do a few labels for your stationery and a single press release, or several activities culminating in an awards reception, let’s call your anniversary activities a “program.” No matter the details, whatever you do will and should serve as a marketing communications opportunity. If at all possible up front, determine the length of time you’d like to dedicate to your anniversary program, determine a budget for the program, create a timeline for program events and activities, and assign responsibilities for each project or task. At the risk of sounding crass, like other communications programs, an anniversary program easily falls under the category of business building in all its forms and departmental labels: business development, public relations, marketing, lead generation, corporate communications, sales and promotion, etc. As upbeat and celebratory as some of the events to mark them may be, make no mistake, anniversaries mean serious business. Whatever you plan to do, try to focus on and involve your clients, employees, community and any other groups that influence your company. This will also help you determine which anniversary themes and events will resonate most. Do a bit of digging. Browse through your company archives and scrapbooks with the aim of rediscovering your company, recording a company history timeline, collecting photos and news items that may help tell your anniversary story, etc. This research may help set the tone for your anniversary and spark ideas to commemorate it. For example, you might use the material to create a reception-area display or a web page of your company’s four-decade history. Be sure to get your team involved in the digging. Encourage employees to bring in photos from their time with the company, too. Establish an anniversary theme. This could include a special logo and tagline – Clients first for fifty years, Celebrating a Million Widgets, etc. Tell your story. Write a press release that isn’t simply an announcement of your anniversary, but shows how relevant your anniversary is in 2016. Talk about the economic climate changes your business has weathered. Mention other events that parallel your history. Showcase employees that have been with the company over its history. Allow readers to see some of what so many years of successful experience looks like. Perhaps provide helpful information about your area of business expertise. You should tailor the release to the particular media outlet. Post anniversary content on your social media accounts and blog (LinkedIn, Facebook, YouTube, etc.). Submit content or press releases to appropriate trade and business journals and other publications. Let people see (and hear) your success. Include your anniversary logo and tagline on all communications materials. Teach employees how to use the logo in email signatures. Provide your employees with labels to use on existing stationery, invoices and envelopes; integrate the anniversary logo in specially printed letterhead, invitation and other materials. Make sure all of your trade dress includes reference to your anniversary (trade booth graphics, employee recruitment posters, billboards, advertisements, brochures). You may also want to create a few posters to use internally – a thank you to your clients in the reception area and thank-yous to employees in common areas. Consider adding an anniversary or thank-you message to the recorded greeting on your company’s phone answering system and/or integrate it into reception greetings and phone answering. Offer clients an anniversary package deal. Are there a few services you might bundle together at “anniversary” pricing? Plan and sponsor a community event. Contact the town in which you operate your business to see if there are opportunities for you to plant a tree or a garden in one of its parks or donate a piece of sculpture or playground equipment. Provide a free professional services workshop in concert with one of the area colleges. Institute a scholarship. Create a time capsule. Invite the media to the event by sending out a news release prior and contacting editors personally (especially the community news). Tie the event into your company mission. Giving a small, quality token of appreciation can go a long way. Depending on the theme for your anniversary, select gifts that will bear your logo and tagline. Match the item with your mission and the theme of the anniversary. Personally, I would choose and recommend recycled, repurposed and green giveaways over cheap and mass-produced plastic bits. “Honor” charitable contributions, a healthy plant, flowers, good food and well-made chocolates top my list – all green and all customizable. Gift cards and recognition awards can be quite meaningful, especially for your staff.